Why Would You Need an OBD II Car GPS Tracker? Mike here with ScannerAnswers to bring you another exciting round up! Today we’re discussing OBD2 GPS vehicle trackers (Global Positioning System).. Our friends requested this article because they use OBDII tools for fixing their cars (find the best OBD2 Android scan tools here), but wanted to know if you could use the tools for tracking a fleet of delivery trucks or vans. 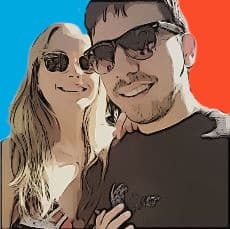 Our buddy Ronnie has a plumbing company and has 4 different service vans that he wanted to keep track of and that was the inspiration of finding the best GPS vehicle trackers (and at the lowest cost!). Read more about GPS. Times have definitely changed. If you can now buy a wireless OBD2 scanner for less than $30 bucks, it is now possible to experience the latest advancements in vehicle tracking technology without spending hundreds of dollars and many hours installing and wiring the dang tool. Using the OBD2 (on-board diagnostic system) port, you can easily and affordably grab a plug in gps tracker for your car or truck and be tracing in minutes! Did you just buy a new car and you want to enhance the security features of your ride? Are you weary that your teenager is constantly breaking traffic laws? Are you searching for an easy and affordable way to lower your car insurance rates? You have come to the right place. Lets move on to help you find the best obd gps tracker. 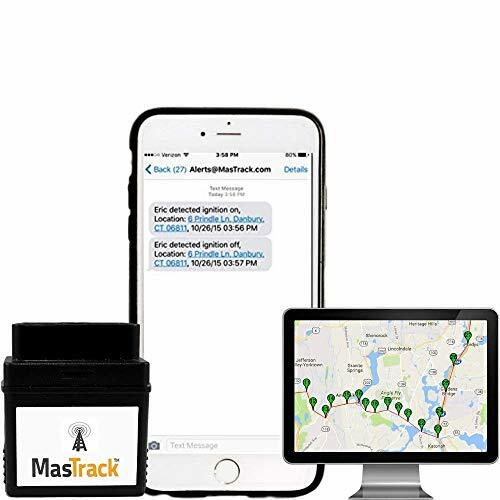 The MasTrack is our favorite of the GPS vehicle trackers that we’ve used. It is also the most expensive. Don’t let that worry you because you’re investing in a high quality monitor that will save your company money or help keep your teenagers out of trouble! It costs around (click to see price) and the monthly subscription fee will cost you $10.99/month for the basic features up to $22.99/month to enjoy the premium features of this device. The MasTrack MT-OBD Live GPS will monitor and record the precise day and time when your vehicle is started. It can also detect rapid acceleration and harsh braking. It can even tell you the duration of time when your vehicle is left idling or if the car is being towed. What we like best about the MasTrack MT-OBD is the zone alert feature. This feature will basically allow you to set an alert on any area you prefer. This is great for monitoring the whereabouts of your teenager. Did he/she tell you that she’s going to the nearest McDonalds with her friends? Now you’ll know for sure. This nifty device can also monitor the health of your vehicle. It can send alerts if the check engine light is on, and it can also show you the meaning of those annoying trouble codes so you’ll instantly know what’s wrong with the car. You can also use the MasTrack to set reminders for your next oil change. No monthly fees! 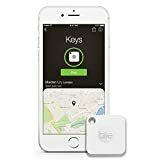 If you’re on a tight budget and need a GPS tracker with no monthly fee, then this is the one for you. The name says it all. If you hate paying monthly subscription fees then the Vsyncs Car GPS Tracker is the one to buy. The device itself starts at around see lowest price here, which we think is a good bargain considering the fact that you don’t need to pay monthly fees to use the service. 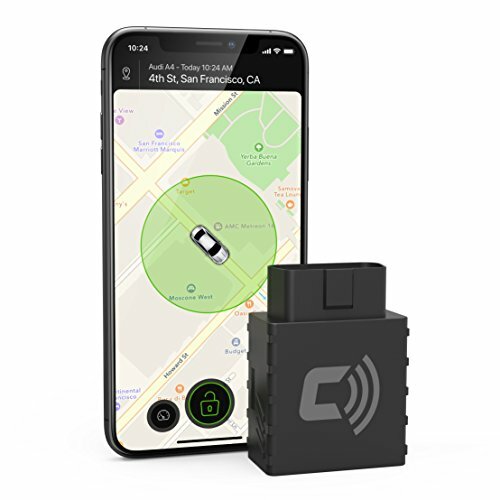 The Vsyncs Car OBD Link and Car GPS Tracker is a full-service vehicle tracker that relies on the 3G wireless connection from a SIM card with a 1-year data plan. The service is available in all 50 US states, the US Virgin Islands, Puerto Rico, and even Canada. But here’s the catch: The GPS information is updated every 3 minutes. If you want the info to be updated every 60 seconds, you will need to fork out $30/year in addition to your existing data plan. If you want the information to be updated every 30 seconds, that’s an additional $80/year. You’ll pay an additional $129/year for an update every 15 seconds. We’ve also seen some inaccurate reporting with the Vyncs. My Chevy 1500 was parked in the driveway and I got a notice that it was driving around!? Haha, it only happened the one time but I could have swore someone stole my truck! Not sure if this is due to a faulty device, or maybe the 3g service in the rural areas is spotty. Either way, if you’re in the market for a cheap GPS vehicle monitor without the monthly fee, consider the Vyncs. 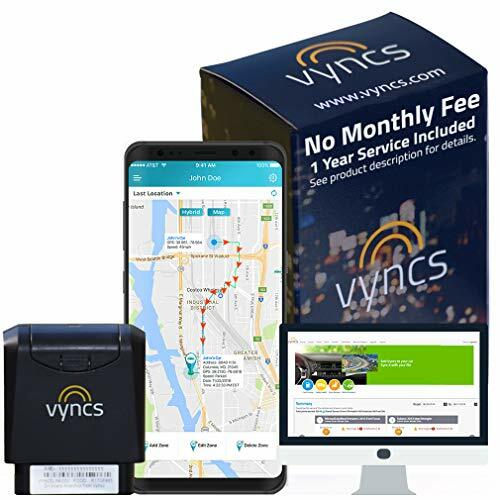 The Vsyncs Car GPS tracker offers zone departure and arrival notifications, optional roadside assistance, OBD2 vehicle diagnostics, and vehicle maintenance reminders. For an obd gps tracker no monthly fee option, this might be the one for you! The Spy Spot OBDII 3G GPS Tracker is on the lower end of the price range. Starting at less than $$, the Spy Spot is a plug-and-play GPS vehicle tracer. Simply plug the device into the OBDII diagnostics port under the dash and you’re good to go! 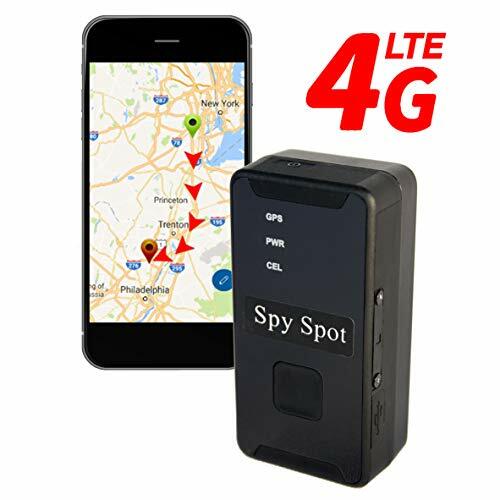 What we really love about the Spy Spot Vehicle Tracker is the smooth and hassle-free vehicle information retrieval system. All you need to do is to log in from any PC, smartphone, or tablet to receive vehicle location updates. No need to download apps. Simply access the Spy Spot website from any browser and log in. Some products will only update information every 20 to 30 minutes. The Spy Spot system will provide 1-minute location updates, which is stellar in our books. You don’t need to sign any contracts, and there is no need for prepaid monthly subscriptions. For around $18 per month, Spy Spot will provide you with a quality vehicle tracking service that is updated every minute. This is what we call real-time vehicle monitoring. Did your teenager stop by the liquor store to grab some booze? You didn’t hear it from us. Oh, and did we mention that the Spy Spot OBD2 GPS Tracker provides worldwide coverage? This is a great device that offers the capabilities of a premium vehicle tracker that costs 3x more. Fast and accurate GBS OBDII system that’s easy to install. Subscription is the lowest per month out of all the tracker modules we tested. Doesn’t drain your battery so you can leave it in your fancy Mercedes and not worry about car thieves! The CarLock and Alert System starts at less than *click to see lowest price*. Considering the features and the capabilities of this plug-and-play car GPS tracker, this gadget should be included in the list of the bargain of the century. The CarLock will constantly monitor your vehicle and alert your smartphone when the vehicle is moved, if the engine is started, or if it detects unnecessary vibration. The CarLock will also send an alert if the device is removed from the OBD2 port of your vehicle. The main features are pretty impressive indeed. But the CarLock is also a real-time vehicle health monitor that can send alerts for low battery warnings or unusual battery drain. If you left the interior lights on when you parked your car, then this device can send an alert so you can prevent being stuck in the middle of nowhere due to a dead car battery. Business owners and fleet managers can enjoy the route history tracking feature of the CarLock Car Tracker. This makes it easy to monitor the routes taken for each trip. If your driver was involved in an accident, then this device can also send an emergency call or SMS service to your smartphone. The CarLock Real Time Car Tracker will work flawlessly for around $9.60 per month. The first-month subscription is free of charge. There are many reasons why you would want to buy an OBD2 GPS tracker. Some people buy it to monitor the driving habits of their teenage sons or daughters. Others purchase a GPS vehicle tracker to safeguard and protect their rides from thieves and towing bandits. But one of the most popular uses of an OBD2 car GPS tracker is for business or fleet vehicle owners. Like our friend Ronnie, GPS vehicle trackers can be a money-saver! Whatever the case may be, you can probably think of many other uses for a GPS vehicle tracker. With that in mind, we compiled a list of obd gps tracker reviews that should help you find the best obdii vehicle tracking device. At the time of writing this, these tools cost less than 80 bucks (the price could go up, so you’re best to grab one now!). One thing to be aware of, for most vehicle gps tracking devices you’ll pay a monthly fee of around $10. If you happen to be searching for an OBD2 GPS tracker that won’t break the bank, then these 4 best GPS vehicle trackers should be on the top of your list. As you’ve probably seen, these GPS tracking devices for OBDII are pretty affordable! But you need to be aware that you’ll likely have to pay a monthly fee of around 10 bucks. Also, make sure the tracker you purchase has service in your area! These trackers usually run off the TMobile, Sprint and AT&T networks, so if you’re in a rural or mountainous area like Montana or Idaho, do your due diligence so you don’t buy a paper weight! Mike here with ScannerAnswers to bring you another exciting round up! Today we're discussing OBD2 GPS vehicle trackers (Global Positioning System).. Our friends requested this article because they use OBDII tools for fixing their cars (find the best OBD2 Android scan tools here), but wanted to know if you could use the tools for tracking a fleet of delivery trucks or vans. Our buddy Ronnie has a plumbing company and has 4 different service vans that he wanted to keep track of and that was the inspiration of finding the best GPS vehicle trackers (and at the lowest cost!). Read more about GPS.